Malafarina's "Dead Kill" series begins with "The Ridge of Death"
WERNERSVILLE, Pa. — Sunbury Press has released Thomas M. Malafarina’s latest novel The Ridge of Death,the first book of the Dead Kill series. Jackson stepped out onto the roadway with his gun still at the ready. He looked around to make sure there were no other such creatures lurking about, and then cautiously approached the fallen beast. Most of its face and skull had been annihilated. For a moment he thought he saw the thing move slightly and considered blowing off the rest of it head. Instead he kicked it hard several times to see if there was any sign of movement. There was none. It would never rise up again. Covering his mouth and nose to avoid the ungodly stench surrounding the wretched thing, Jackson reached down and sunk the spear end of the rod deep into its shoulder, which was now the highest point on the thing’s body, making the flag as visible as possible. As the point of the spear sunk deep into the rotting flesh with a sickening sound, Jackson pulled away quickly and was hit by an involuntary shudder which started at the top of his head and rapidly shot right through his body to the tips of his toes. He stood there on the side of the road slightly bent over with his both hands extended, palms down barely able to hold onto his gun, knees bent and legs trembling. “Oh my God! I hate these freaking dead things,” Jackson said with a shudder in his voice. He was so glad he was alone and no one had witnessed his ridiculous involuntary reaction. Unfortunately, this was something that had to be done in accordance with government mandated regulations. He looked over and saw he was a few feet from mile marker 25.4. Taking a deep breath to regain his composure, Jackson withdrew his communications unit, or CU, as they were commonly called, and snapped a photo of the creature with his flag and digital code clearly displayed. He also made sure to get the mile marker sign in the photo for reference. 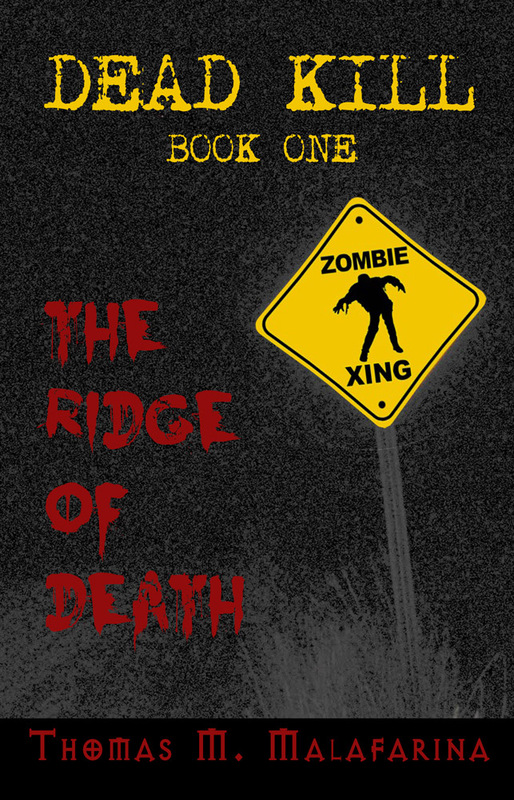 This entry was posted in book releases and tagged dead kill, dystopia, dystopian, horror, ridge of death, zombie apocalypse, zombie hunter. Bookmark the permalink. Reblogged this on Newberry Media Corporation.